Developer Quote: "djay 2 transforms your iPad into a full–featured DJ system. 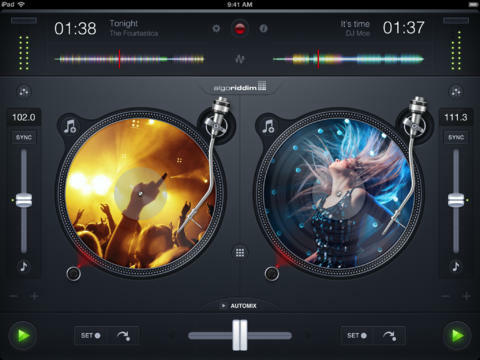 Seamlessly integrated with your music library, djay gives you direct access to all your favorite songs and playlists on your iPad. " Don't miss out on exploring your wizardry with djay 2 at selecting and placing music tracks in an order that's bound to please and amaze your friends. The app's beautiful interface is just the icing on the cake. 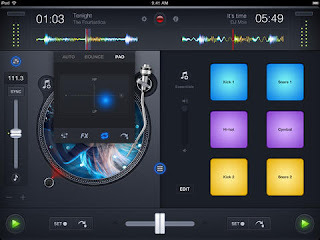 COOL CONCLUSION: Build stunning waveforms, beat modes, record live, and create awesome sounds from your songs using the sleek and gorgeous djay 2.